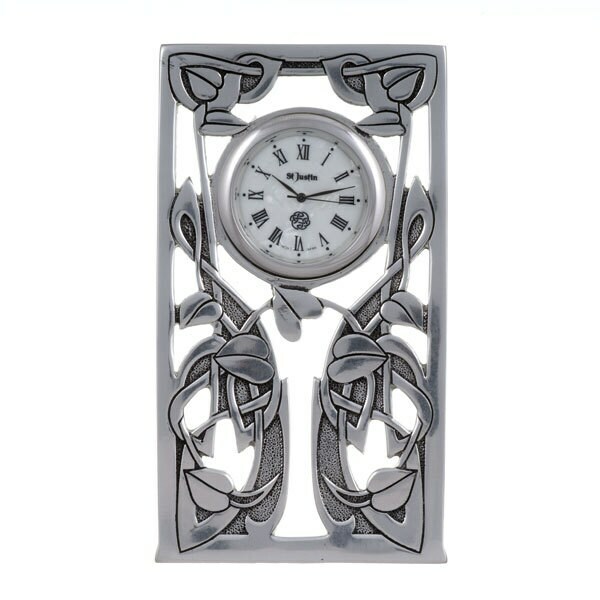 Vine knot clock – a pewter vine knot openwork clock with embossed design surround. White pearlised face with St Justin logo. Japanese, battery-operated, clock movement. Spare battery supplied. Guaranteed for 1 year (excluding battery & damage from misuse).